Kawthaung airport in southern Myanmar will be upgraded to accommodate international flights to boost tourism in the Myeik archipelago. Union Tourism Minister U Ohn Maung told The Myanmar Times last week that the Tanintharyi regional government and the Ministry of Hotel and Tourism have held discussions with the Ministry of Finance on extending the runways and upgrading the existing facilities at the airport to international standard. “We have already done ground checks to ascertain the extensions required to welcome international flights there. That’s why we agreed to the upgrade,” U Ohn Maung said. 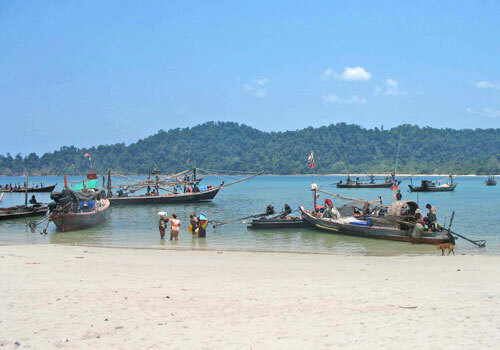 The Tourism Ministry and the Tanintharyi Region tourism committee are actively promoting the southern Myeik archipelago. “Myeik archipelago is very beautiful with islands that offer many activities like swimming, scuba diving and snorkelling. All these and the natural beauty of the area will certainly attract more visitors,” U Ohn Maung said. Once upgraded, Kawthaung airport will be able to accommodate direct flights to and from the ASEAN countries, a member of the Tanintharyi region tourism development committee told The Myanmar Times. “Visitors can arrive on direct flights from places such as Phuket in Thailand,” he said.